Now we come to #2 on our list of 10 Most Anticipated PC Games of 2017 and it just so happens to be another Tom Clancy game: Tom Clancy's Ghost Recon Wildlands. 2016 has been a pretty good year for Tom Clancy games with Tom Clancy's The Division being released in March and free expansion packs to Tom Clancy's Rainbow Six Siege also being released throughout the year. Next year promises to continue that trend with Tom Clancy's Ghost Recon Wildlands being set to release on 7 March 2017. So what's so good about this game that all 4 of the judges decided to throw in their votes for it? Ghost Recon is obviously well regarded as a series of tactical shooters, but Wildlands is going to be the first in the series to introduce an open world to explore. 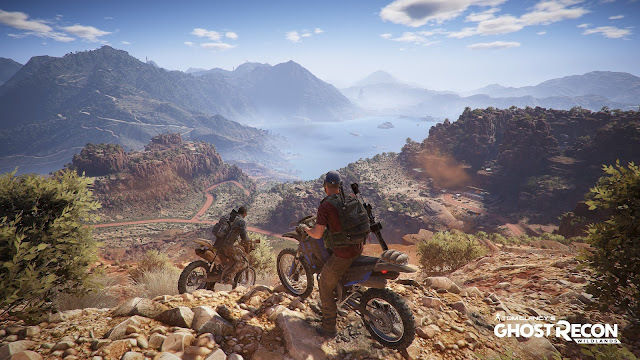 The game is also not going to be set in a futuristic setting like some of the more recent iterations of Ghost Recon and instead will be set in a modern day Bolivia where a US Special Forces group called "the Ghosts" are out to take out a drug cartel. The game sounds like a mix of Far Cry and Ghost Recon which isn't necessarily a bad thing, and the game also promises four player co-op as you go through the campaign!